Continuity mistake: Near the end of the episode, Joe and Quagmire are shown sitting at a booth inside the bar with Joe pulled up to the corner of the booth. 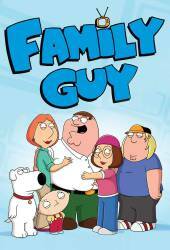 As Peter apologizes to them, Joe is no longer seen next to him. 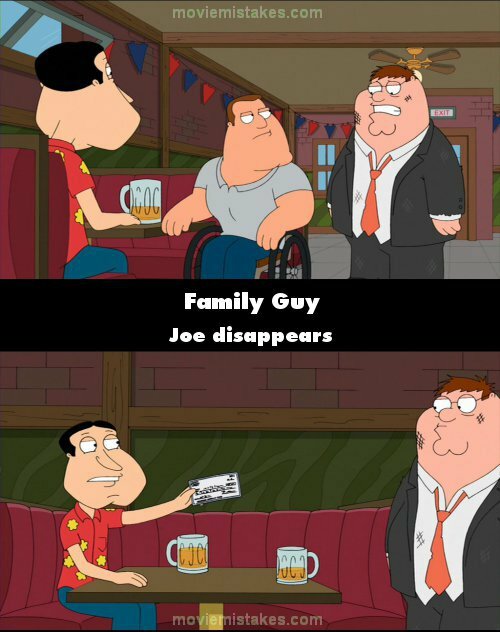 As Peter takes Quagmire's check, a part of Joe is seen sitting in the next booth. In the shot after, he disappears again for the rest of the scene.